We, at Manav Rachna, believe in giving our children hands-on experience to ensure lifelong learning. Nursery students have been having a great time role-playing as bakers and chefs in their centers. Now was the time to give them real-life, hands-on experience of the same. We, therefore, organized an EduTrip to Dominos for a ‘Junior Pizza Making Activity’ in order to pass on the wonderful experience of how a pizza is actually made. 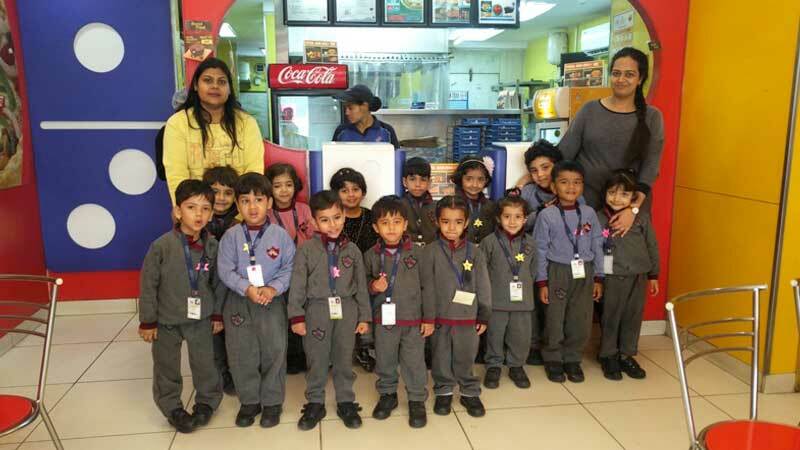 It was a memorable and enriching learning experience for our little ones as they were a part of assembling the pizzas and watched it being baked and grilled. After the activity, they were also served a small pizza each and juice. The fun didn’t end there. Each participant came back with a ‘Junior Pizza Maker’ certificate from Dominos and loads of exciting memories to cherish forever.